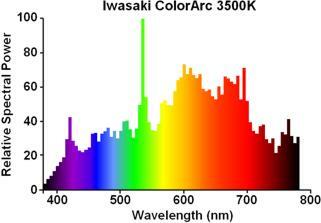 The ColorArc line of metal halide lamps from Iwasaki exhibit the highest colour rendering properties of any commercially-available discharge lamp. With a CRI of 96 throughout the entire range, even at low colour temperatures, the quality of light they deliver is second to none. The lamp here is one of the first of its type, and the high colour rendering is attained through the combination of a new metal halide dose chemistry, plus a thin-film dichroic coated sleeve of quartz around the arc tube. The sleeve merely serves to filter out certain wavelengths of light, allowing the weaker spectral lines to become relatively more powerful and thus deliver a more uniform spectral output - of course with enhanced colour rendering properties. 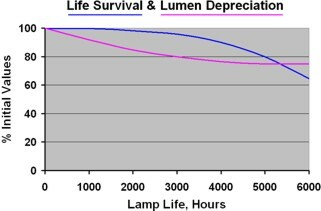 It will be seen from the luminous flux and efficacy figures in the table below that this results in a lamp some 30% less efficient than an ordinary type with only moderate colour rendering. However in the extremely demanding Japanese market these lamps enjoyed tremendous success. 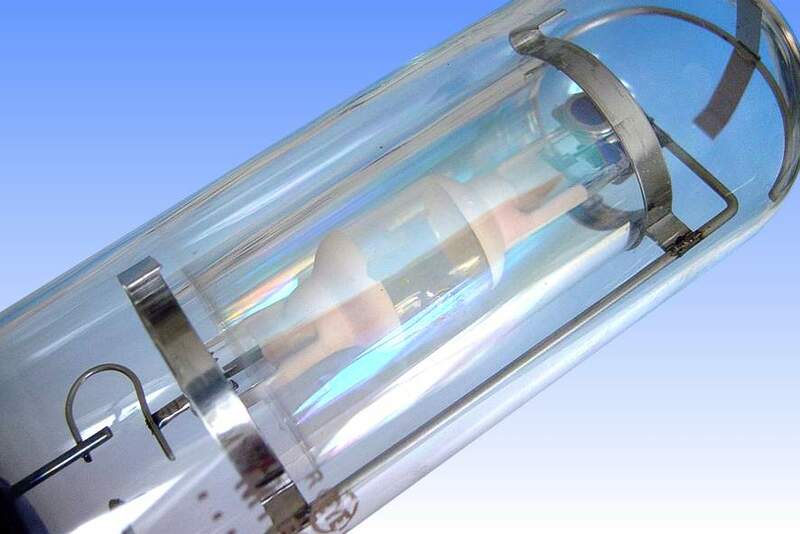 In current versions made for sale today, impressive developments in the metal halide dose have allowed the filter to be dispensed with - not only increasing the luminous efficacy but also considerably reducing the cost of this lamp. Better control of the chemical corrosion reactions occurring during life also mean that colour is kept within +/- 300K during life, almost as good as from ceramic metal halide products. 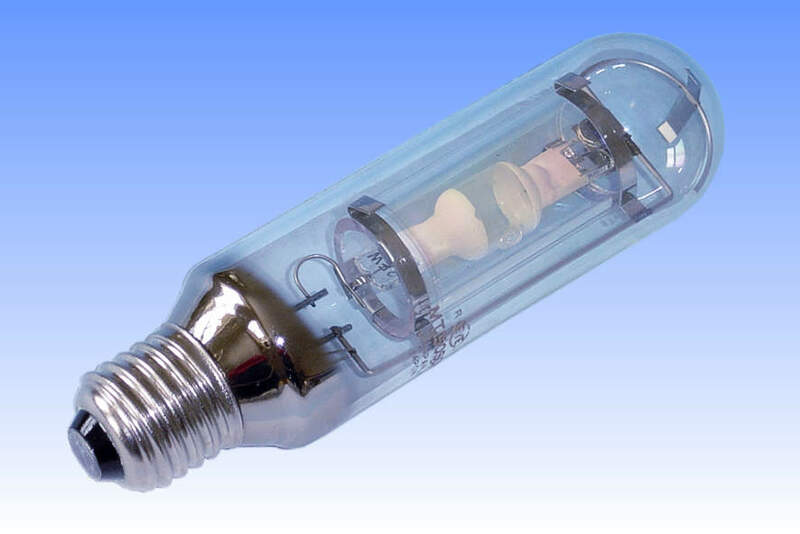 The heavy quartz shroud around the arc tube also means that this style of lamp is entirely suitable for use in open fixtures, and the use of hard glass for the outer bulb means that UV levels are exceptionally low. 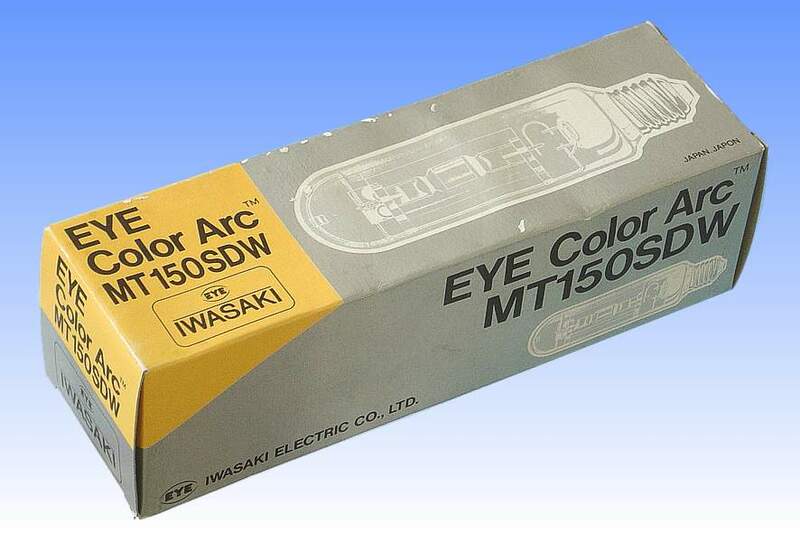 References: 1) EYE Color Arc Technical Booklet, 1996. 2) EYE Color Arc Technical Bulletin, January 1995.